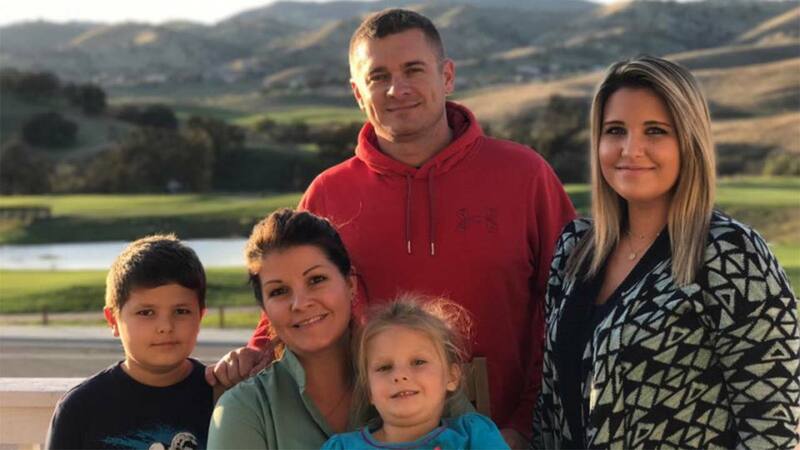 FRESNO, Calif. (KFSN) -- A motorcycle ride to benefit two Los Banos police officers who were shot three weeks ago ended in tragedy Saturday. The California Highway Patrol says three of the motorcyclists on the ride were involved in an accident along Highway 59 near Reilly Road. According to authorities, one of the motorcyclists slowed down, lost control of his bike and was ejected. He was struck by another biker riding a Harley Davidson and later died from his injuries. Family members have identified the man as Jason Williams. The 41-year-old was married and a father of three. He traveled from Patterson to attend the fundraiser to support both officer Kristifer Hew and Aaron Pinon. "It speaks volumes of his character you know for him to drive outside of Los Banos to be there just to be there for the cause it speaks volumes about his character," organizer Monica Gallagher said. The other two motorcyclists involved in the crash were taken to the hospital but are expected to recover. Organizers say Hew chose to donate the money raised for him to the victim's family after hearing about the tragic accident. A GoFundMe account has been set up for Williams' family.